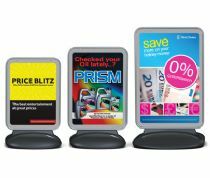 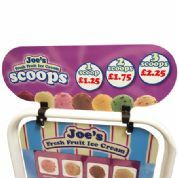 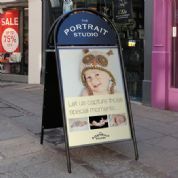 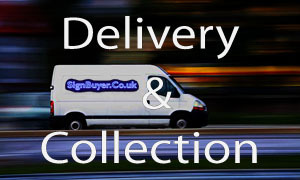 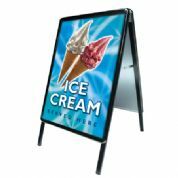 A-board is a double-sided aluminium snap frame with coloured headers offers a convenient way to display prints and posters. 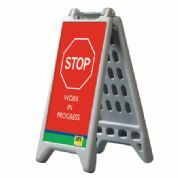 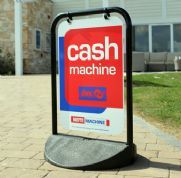 Simple and effective poster display, Magnetic edged PVC cover offers increased poster security. 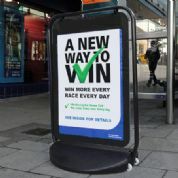 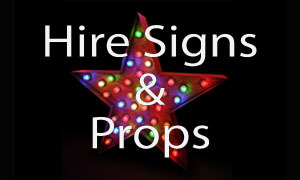 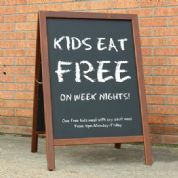 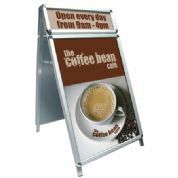 A-board is a double-sided aluminium snap frame that offers a convenient way to display prints and posters. 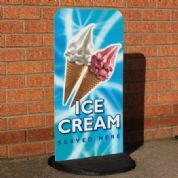 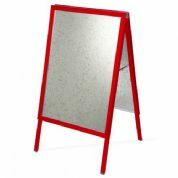 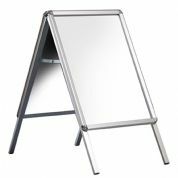 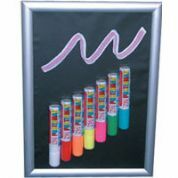 This A-board has a curved top and two removable and reversible chalk panels giving you four writing surfaces. 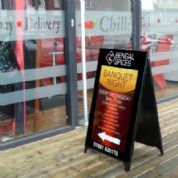 The A-boards reversible panels can have the lunch menu instantly changed for the evening menu, or specials to cakes etc by rotating the panels. 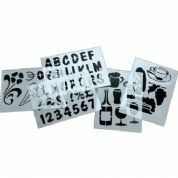 5 stencils comprising numbers, symbols, the alphabet and 13 pictures will give any board a superb appearance. 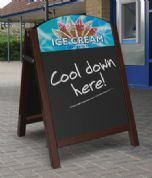 Hardwood A-board - manufactured with hardwood on all four sides. 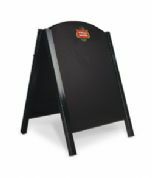 Fantastic looking, robust and very sturdy traditional pavement board. 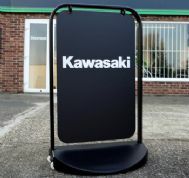 Available upto : 1200mm x 1800mm in size! 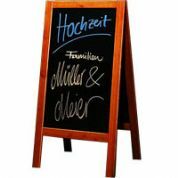 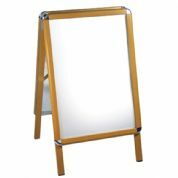 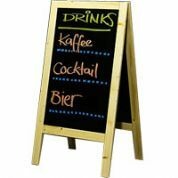 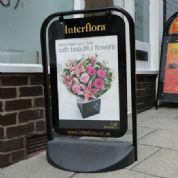 The outstanding wooden free-standing A-board with double sided Poster Holder and Chalk board is of exceptional quality timber and brass fixings designed to water resistant. 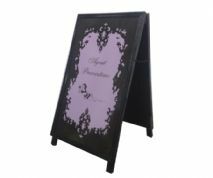 Wooden A board Painted in a gloss colour of your choice. 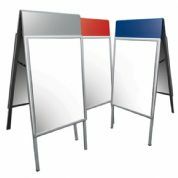 Double Sided Panel Size : A1. 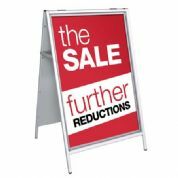 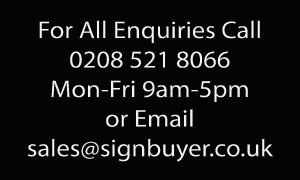 A-board is a double-sided aluminium snap frame with an extra snapframe header that offers a convenient way to display prints and posters. 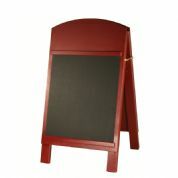 Hardwood A-board - manufactured with hardwood on all four sides. 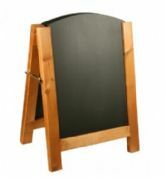 Fantastic looking, robust and very sturdy traditional pavement board. 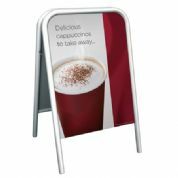 Available up to : 1220mm x 760mm in size!